66 sq. ft. 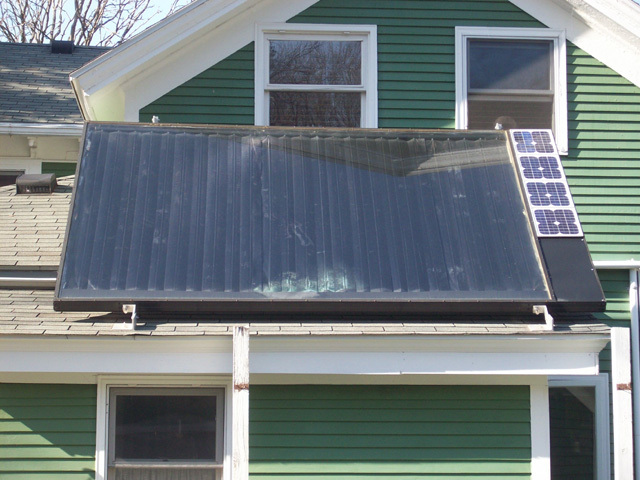 Solar Mining Co. collector installed January 2006 in Madison WI. 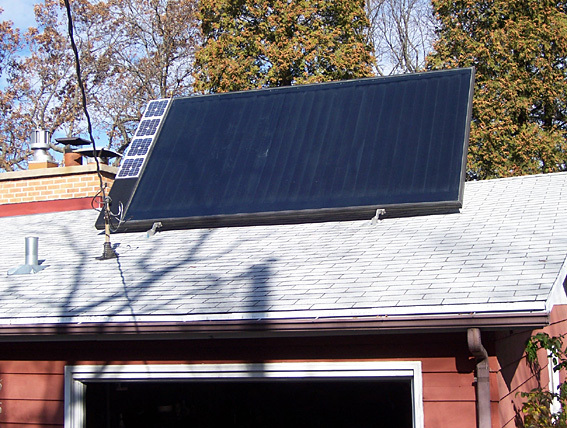 System was upgraded/repaired September 2007 by Cardinal Solar. The collector is set at an angle of 45 degrees. On 2008 MREA Solar Tour. 120 sq. ft. 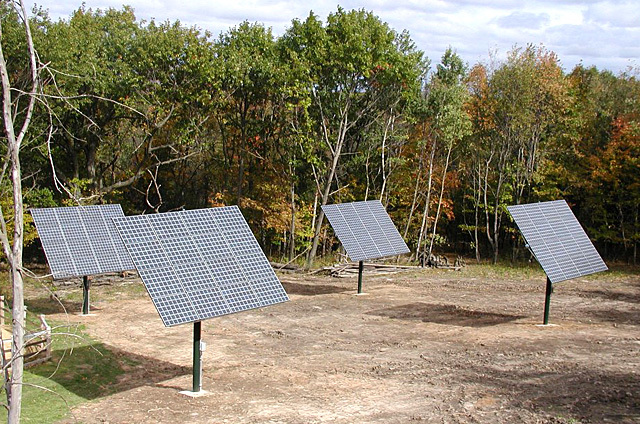 Solar Mining Co. collector installed Nov. 2005 near Verona WI. Original owner reported no problems other than failure of the temperature/pressure relief valve on top of the 85 gallon solar storage tank. The collector is set at an angle of 60 degrees to enhance winter collection efficiency. Highest temperature in antifreeze loop observed in first two years of operation: 206°F (at 46 psi) on Sept. 23, 2007. 78 sq. ft. Solar Mining Co. collector installed Nov. 2006, Madison WI. The collector is set at an angle of 50 degrees. Highest temperature in antifreeze loop observed so far: 203°F on Sept. 3, 2009. On 2008 MREA Solar Tour. Heliodyne collector installed Jan. 2006, Madison WI. 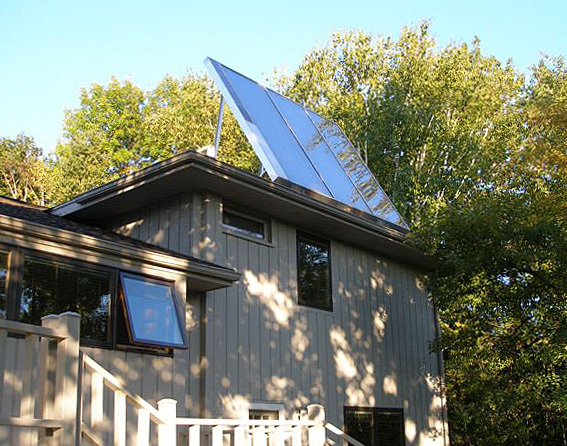 Owners estimate that the unit has cut therms used by slightly more than half. On 2007 MREA Solar Tour. 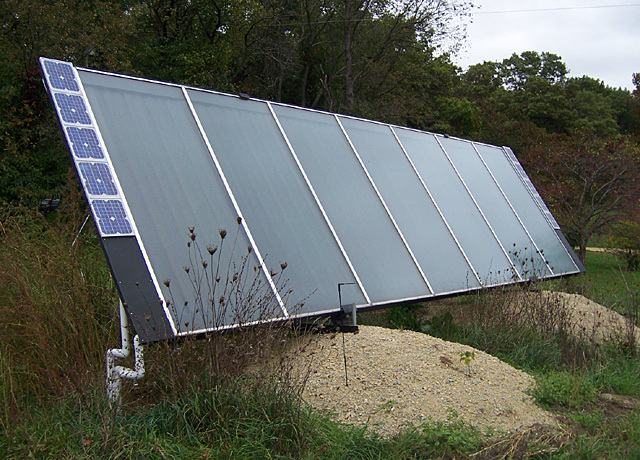 Large Solar Mining Co. collector installed 2006 near Verona WI for hot water and space heating via in-floor tubing. Owner reports an off-and-on leak in the glycol loop. There was also an initial problem with the way the plumbing was installed in getting efficient space heating. 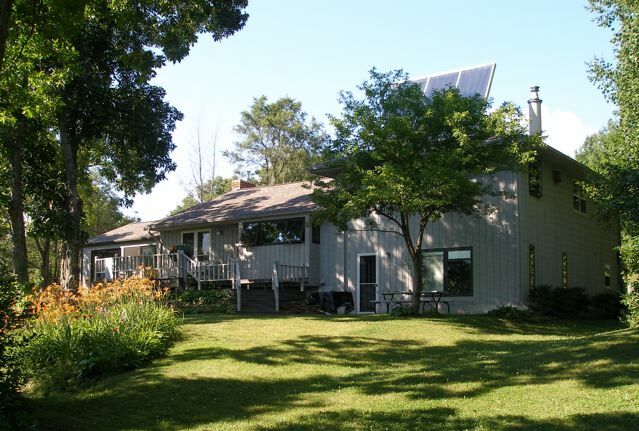 Older Solar Specialists system in Madison provides both domestic hot water and space heating. 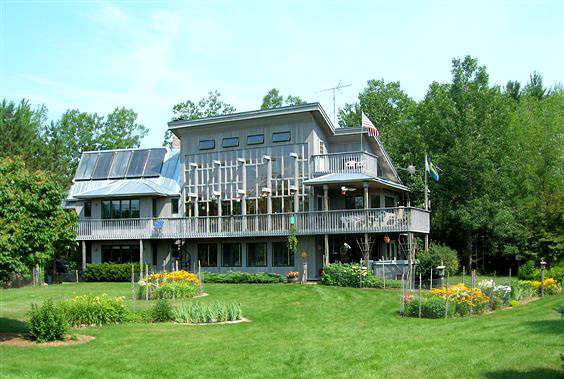 Sun House of Big Falls, Waupaca County, WI, incorporates active and passive features. 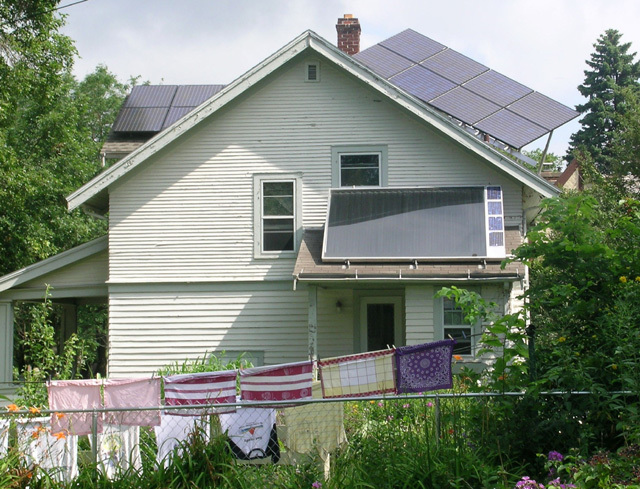 On MREA Solar Tour in past years. 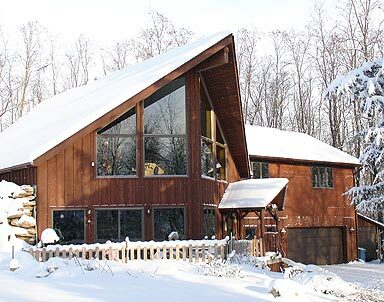 This Lodi WI area passive solar design features heat distribution via in-floor tubing. 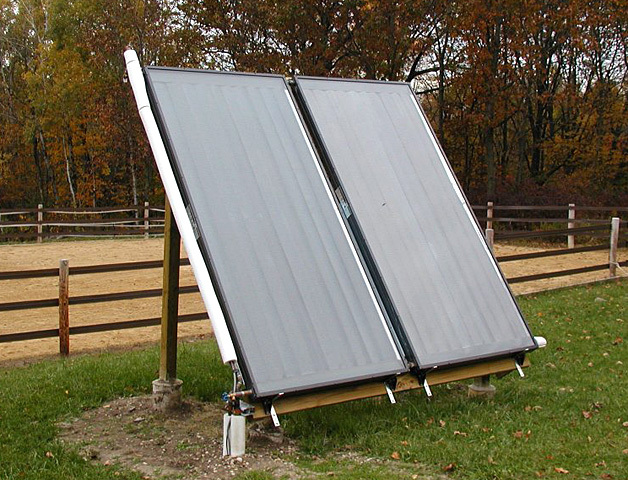 Two Alternate Energy Technologies collectors of 32 sq. ft. each installed during the summer of 2006, North Freedom, WI. The collectors are set at an angle of 52 degrees. The maximum temperature at the collector during July 2007 was about 170°F. On MREA Solar Tour. 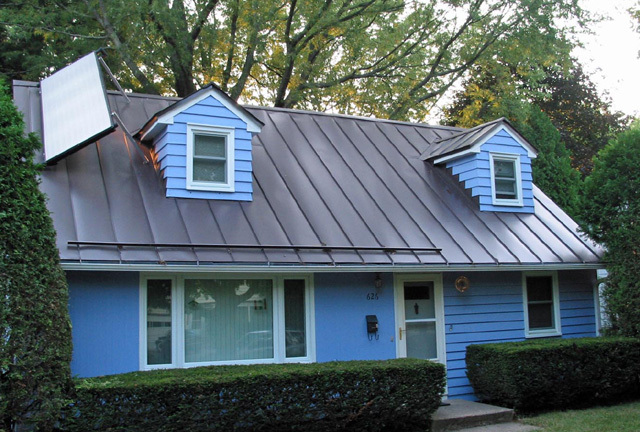 Sharp PV panels, installed in two places on roof by Full Spectrum Solar in summer 2008, have a total capacity of 1.7 kW. On 2008 MREA Solar Tour. 280 sq. 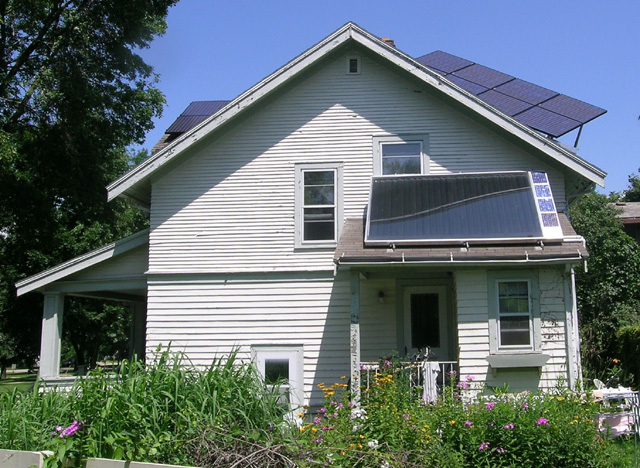 ft. of Unisolar photovoltaic shingles installed Nov. 2000, Madison WI. Best month of power productions so far: 213 kWh in Sept. 2004. On MREA Solar Tour. 221 sq. 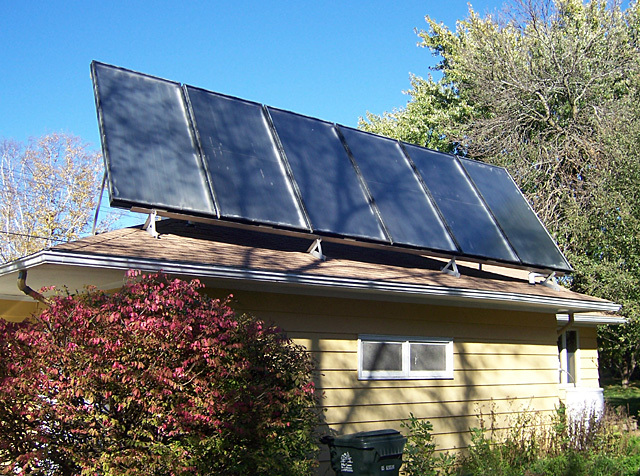 ft. PV tracker with Kyocera panels installed 2005/2006, North Freedom, WI. Best month of power production with original tracker: 590 kWh in July 2007. Four more similar trackers were added in the fall of 2007. On MREA Solar Tour.